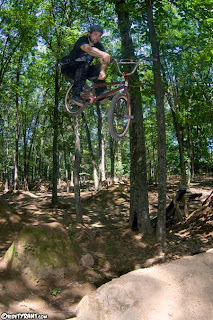 Steve and I adventured up to the Southwick Trails to meet up with a few people yesterday. It was my first time back to Southwick since last year and my first time riding trails since my surgery. So psyched to be back on the bike! Some of the Enfield crew showed up and were blasting it like usual, Steve was dumping a nice 360 over the last set, and conditions were awesome. Nothing like a Saturday playing in the dirt!